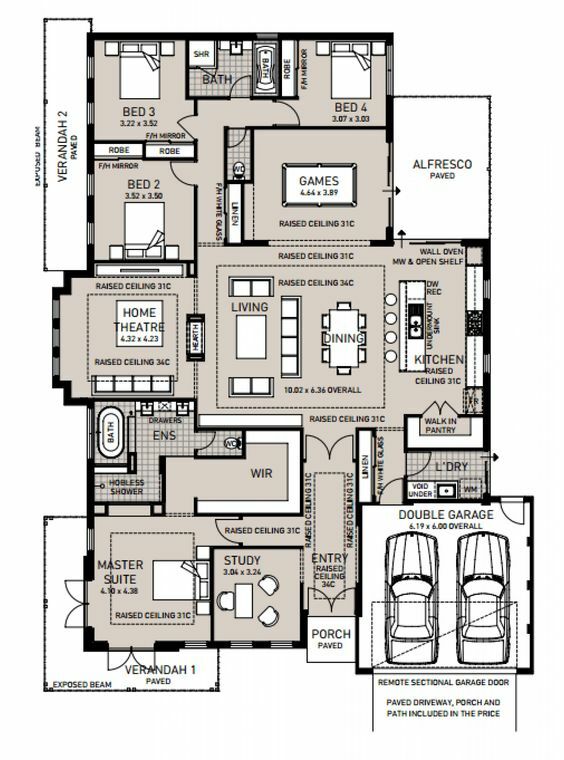 I think a lot of you will like this floor plan today. It has some good features. I instantly liked the verandah around the front master bedroom with french doors. Then I loved the raised ceiling throughout the main living areas. 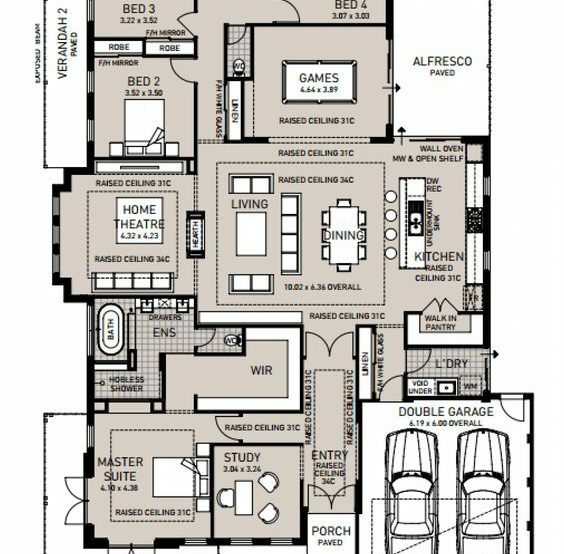 I think the ensuite and WIR is far too big, so I’d definitely scale that back and use the space in the living/home theatre area. I love the double sided fireplace (I have one of these and it’s excellent!). I’d pop some doors on that games room though. The position of the laundry is good. I like the kitchen too. The main living area would need more light I think. With the raised ceiling you could add skylights or transom windows if you had a more modern roofline. I’d add a 3rd garage and make that alfresco area bigger. The plan comes from Plunkett Homes (I’m not sure exactly which one is though because I couldn’t see without trawling through every single one).